Each year, trampolines injure thousands of children. We have extensive experience with trampoline injuries. Head and neck injuries, causing paralysis or death, can be sustained as a result of somersaults and flips. Concussions are common, as are broken bones. Children under six years of age are at greatest risk. The American Academy of Orthopedic Surgeons recommends that children under six should not play on trampolines. If your child is seriously injured on a neighbor’s trampoline, you should call the Clark Law Office. We have experience with trampoline injury cases and know the types of issues that can arise. The increasing popularity of trampoline parks in the United States has increased the number of trampoline injuries. While trampoline parks often offer safer environments for jumping than neighborhood trampolines, they can still be dangerous. If a person has suffers an injury at a trampoline park, he or she may have grounds for legal action. Upon entering a trampoline park, participants often must sign a waiver which states that the business is not liable for any injuries. That waiver, however, may be nullified if there are indications of wrongdoing. The trampoline park has a duty to keep clients safe and not expose them to any unnecessary hazards. If the business has not upheld this responsibility, a lawsuit may be necessary. 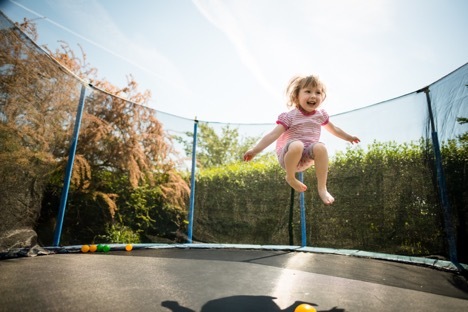 Consultation with a trampoline injury lawyer will determine if there is sufficient evidence to file a personal injury claim. At the Clark Law Office, we have over 80 years of litigation experience. Ed Clark is the office’s primary litigator, and he concentrates his practice in personal injury cases. We work with each of our clients for outstanding results that address each client’s particular circumstances. We strive to assist our clients and to ease their burdens. Our office is located in Lexington, KY, and we proudly serve Central and Eastern Kentucky. Please contact us today.